We believe that a service guarantee reflects a company’s accuracy and confidence in their work. 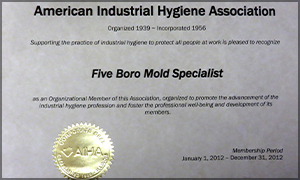 Therefore, at Five Boro Mold Specialist, we offer the following guarantees to make our clients feel as comfortable with us prior to contracting us, as they do once their service is complete! We guarantee to focus on ascertaining the actual source of the mold growth during the inspection process and provide the appropriate recommendations to properly address the situation, to insure that there won’t be a reoccurring mold problem once remediation has been performed. 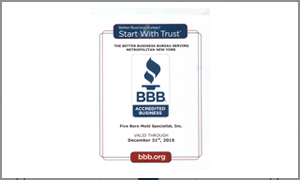 We use the most state-of-the-art equipment and advanced technology available in the industry and are constantly updating our techniques to guarantee you are receiving the most comprehensive inspection report pertaining to your property. 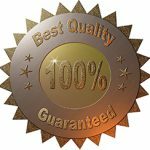 We guarantee the lowest pricing for mold remediation in the industry, as we service many clients on a daily basis and therefore are able to provide low costs due to high volume. On the same token, we refuse to “cut corners” removing steps necessary for successful mold abatement. Therefore, if you provide us with a written proposal for an identical scope of work with a lower estimated cost, we will match their price AND take 5% off your total mold remediation service! 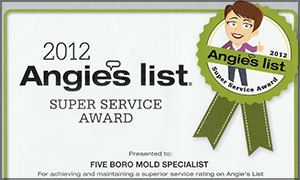 We guarantee that after the completion of the mold remediation process, surface mold(s) will be eliminated from the treated areas of the home or property and airborne mold spore count will be reduced to a Normal Fungal Ecology. In addition, we guarantee that no mold will reappear in the treated areas for up to 2 years from the date of remediation, provided there is no additional water and/or sewer damage. Should there be a problem for any reason whatsoever, we will send down a technician to deal with the issue accordingly. 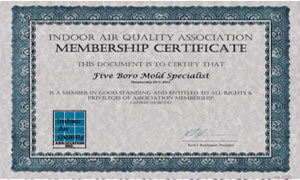 All guarantees are in effect once mold remediation has been performed in its entirety.